Constructions are an important part of geometry. Architects, interior designers as well as other professions that need accurate drawings use them. You will need a ruler and a compass. We can construct an isosceles triangle if we are given the base and the altitude. Let’s review a few vocabulary words that you will need to know in order to construct this triangle. An isosceles triangle is a triangle with two congruent sides. The congruent sides are called legs and the non-congruent side is called the base. The altitude of an isosceles triangle is the line drawn from the base to the opposite vertex. This line is perpendicular to the base and it bisects the base into two equal halves. 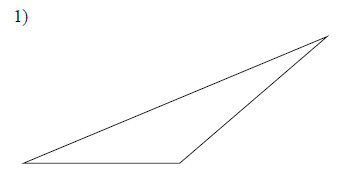 The altitude of an isosceles triangle is an example of a perpendicular bisector. Here are the steps to constructing an isosceles triangle if we are given the base and the altitude. Measure and draw the base with a ruler. Put the point of the compass on one endpoint of the base and use the pencil side to draw a small arc on the top and the bottom of the base. Without changing the width, repeat this step using the other endpoint of the base. The arcs should intersect at a point above the base and a point below the base. Using the ruler, connect these points with a straight line. Extend the line all the way through both points. This is your perpendicular bisector. Your perpendicular bisector will be longer than you need for the altitude. Measure the perpendicular bisector and erase so that it matches the length that the altitude should be. Connect the top of the altitude to the endpoints of the base. Congrats! 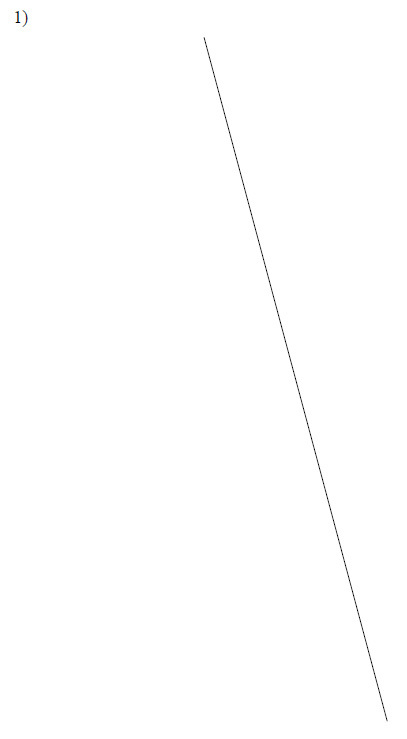 You have constructed an accurate isosceles triangle! Construct a copy of each triangle given. Construct an isosceles triangle given the length of the base and the length of the altitude. Construct a 30-60-90 triangle using the segment given as the hypotenuse.